Aaron Rodgers is one of the best quarterbacks in the NFL, although he underwent a bit of an offseason this year. 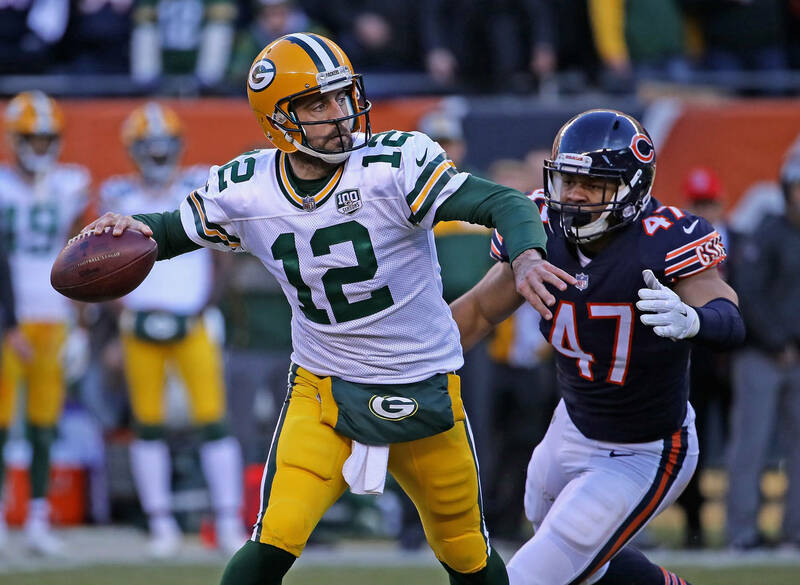 The Packers missed the playoffs and Rodgers was just average after suffering a knee sprain in the first game of the season against the Chicago Bears. Rodgers had hinted earlier this season that he could potentially undergo knee surgery to repair the injury. Now though, Rodgers is speaking out and saying that surgery isn't necessary and that he'll be back with the Packers preparing for next season. "I feel great," Rodgers said according to ESPN. "My body feels really good. Instead of getting surgery postseason, decided to kind of go through a different routine with my knee than I've done in the past, and I'm feeling really, really good. Got a concussion the last game, that's cleared up. I'm feeling really good. I'm getting back into my workout routine, but the first month of the offseason is a lot about yoga and traveling." As ESPN reported, Rodgers had surgery on his knee back in 2015 which cleaned out an old injury. This previous surgery won't affect his current recovery as the Packers will be looking to bounce back from a disappointing season. Rodgers finished last year with 25 touchdowns and 4442 passing yards.